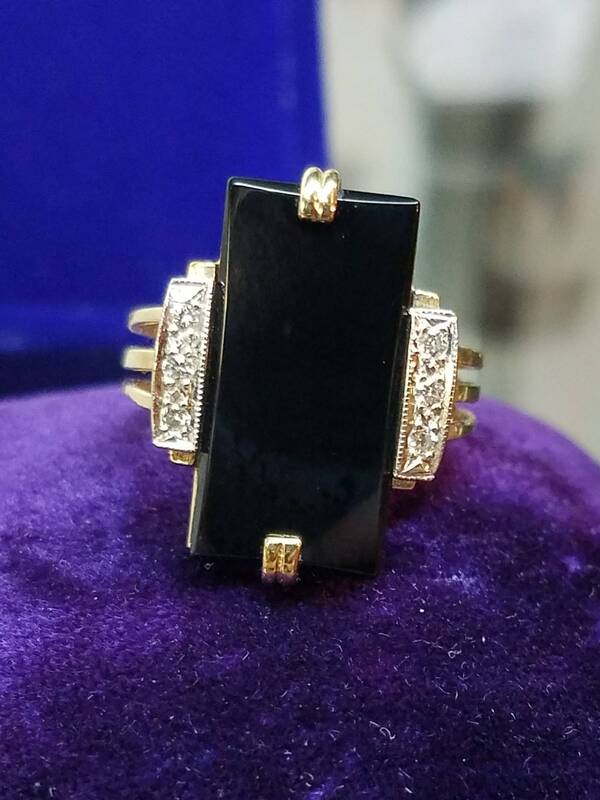 This 1980s era ring is very high quality, made with 14K yellow gold, onyx, and diamonds. 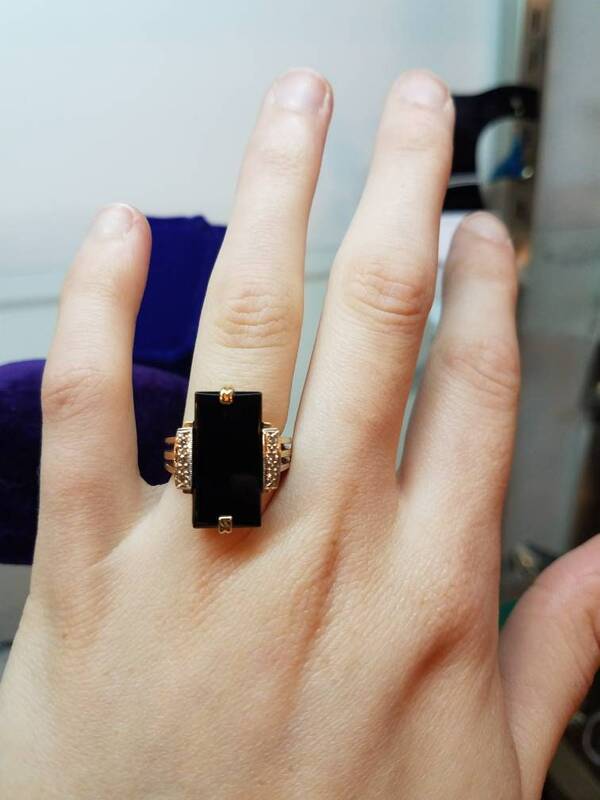 The central onyx measures 20mm by 10mm. The band has three distinct separations that lead away from the gallery before forming a single band. 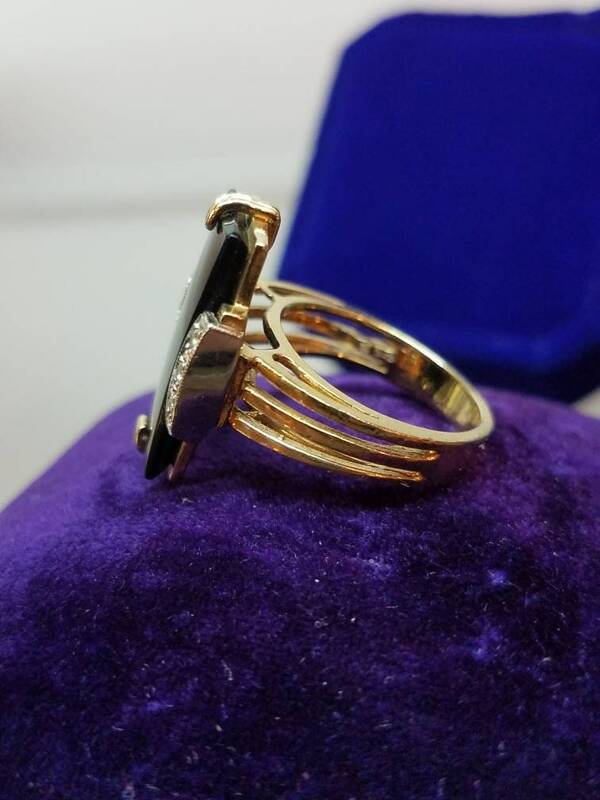 This ring is a stately and elegant piece, and fits a size 6.25.